PhysioTools and GoodLife Technology have developed a service through which clients can receive their personalized exercise programs on their mobile devices. The service has been well received, showing that therapists are also currently undergoing a change towards digitalization. On 1st March 2016, PhysioTools and GoodLife Technology are launching a new PT Momentum app worldwide. The app works in connection with PhysioTools Online. “We have gained thousands of users in a very short period of time. Currently the app is available in a number of countries in Northern and Central Europe, however, now we are launching PT Momentum worldwide, using PhysioTools’ comprehensive international sales channels.,” Henrik Jürgens continues. “It usually takes some time for changes to be adopted in our traditional therapy markets. The rapid growth rate in PT Momentum users has been a very pleasant surprise, on the other hand I believe that, as clients now regularly use digital services, they also expect their practitioner to do so.” Mika Huotari, CEO of PhysioTools adds. Clients can see their daily exercises at a glance on any mobile device. The program comes with clear instructions, images and videos that ensure exercises are performed correctly. They can set daily reminders, check their recent and upcoming exercises, receive automatic alerts about updated exercise programs and monitor their progress. A therapist creates an individual exercise program in PhysioTools Online, sends it to their client’s PT Momentum App, and monitors the resulting momentum value. This gives the therpist a great opportunity to review a client’s training program and assess their progress. 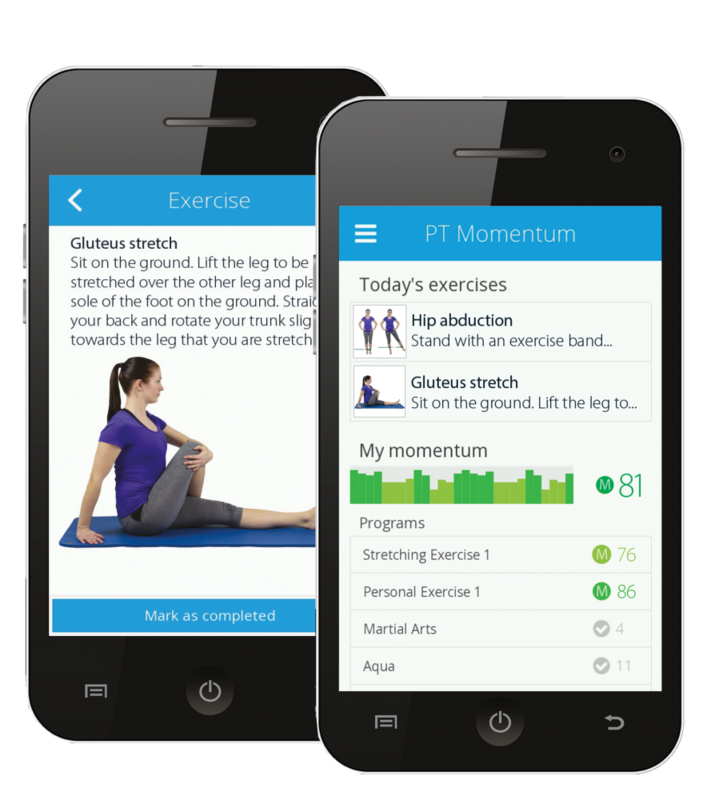 PT Momentum is available for iOS and Android and can be downloaded free of charge from Google Play or the App Store.